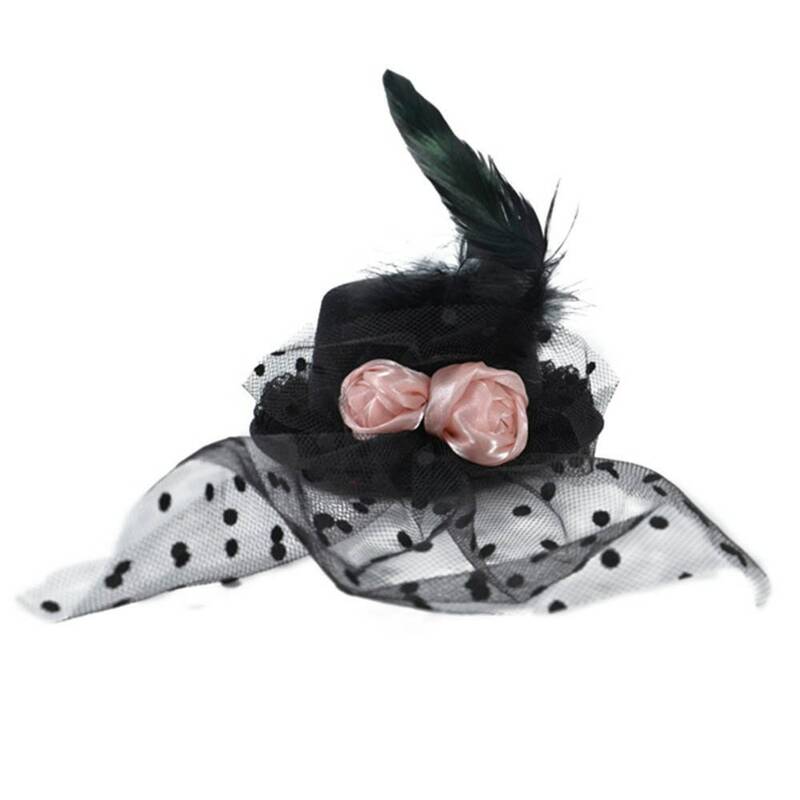 The Lindsey Mini Top Hat measures approximately 10" x 2 1/2" from the widest point, the top hat measures approximately 5 3/8" x 2 1/2" and the tulle measures approximately 7 1/2" wide. 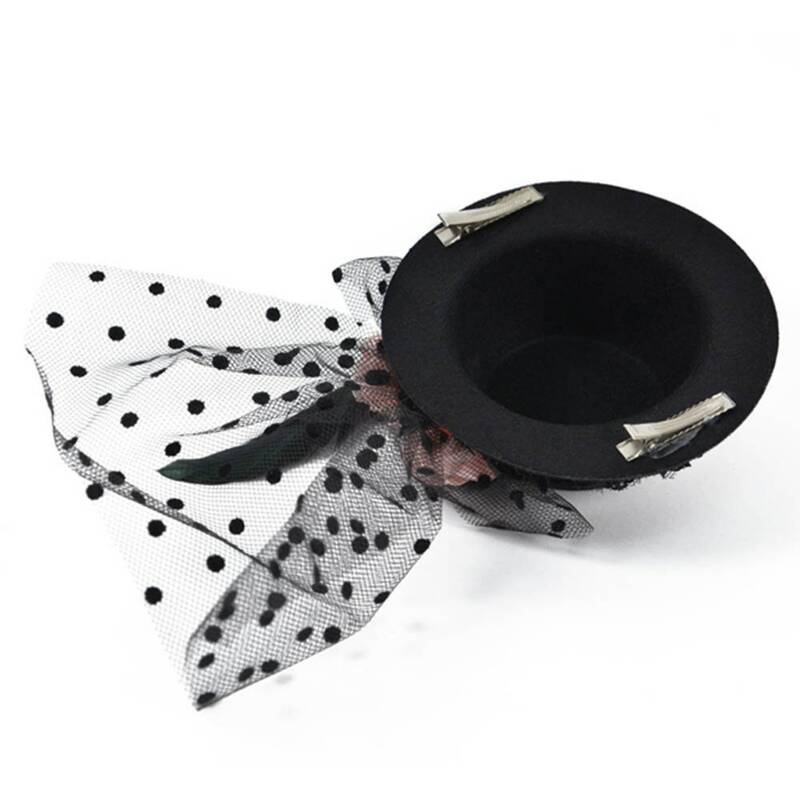 This top hat is the perfect hair accessory and would complement any outfit or costume, featuring 2 alligator hair clip attachments for a more secure fit. 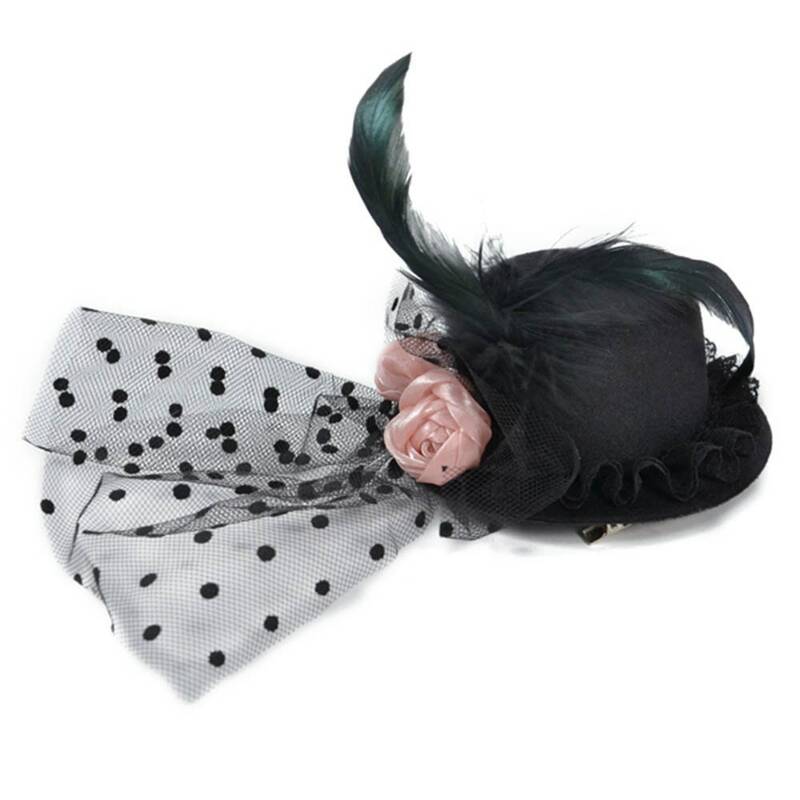 Care: Use a duster lightly to remove any dust particles. Size: 10" X 2 1/2"